Antique Arms & Edged Weapons: Guns: ( Antique & Old Only ) Bows & Arrows, Body Armor, Helmets, Shields, Cannons, Pole Arms, Knives of all kinds, Swords, Japanese Swords, Axes, All Military Arms. One Piece Or Entire Collections Military: Any Military item from the Rev War through Viet Nam. 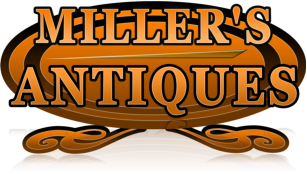 Uniforms, Patches, Bayonets, Banners, Daggers, Holsters, Helmets, Maps, Swords, Knives & Daggers, Patches, Field Gear, Photographs, Medals, Pins & Ribbons Art Pottery & Glass: Antique to Mid Century Furniture: Early American, Arts & Crafts, Mission, Mid Century. Arts & Crafts, Mid Century Modern: Decorative home Furnishings Of Any Kind. Toys & Dolls: Antique & Vintage toys. Classic Toys, Marbles, Pressed Steel and Windup Toys, Dolls and Accessories Photographs & Autographs: Photographs 19th & 20th Century. Autographs and Letters. Historical paper & Maps. Native American: Rugs, Pottery, Baskets, Weapons, Beadwork, Stones & artifacts, Anything related. One Piece or Entire Collections. Artwork: Paintings, Prints, Posters & More Sterling Silver: Flatware, Serving Piece, Souvenir Spoons, Decorative items, Anything Sterling. Coins: Coins, Tokens and currencies United States & World Folk Art: Wood & Stone Carvings, Canes, Walking sticks, Decoys, Whimsical, Weather vanes, Whirligigs, Tramp Art, In and Outsiders Art. Persian & Oriental Rugs: All Sizes and Conditions. Textiles: Quilts, Samplers, Crewel Work, Needle Point, Vintage Fabric, Embroidery, Fancy Work, Clothing & Accessories. Advertising: Signs, Travel Posters, Store Tins & Store Display items, Catalogs, Paper Goods, Fans, And More Jewelry & Watches: Jewelry Wanted From Estate, Fine, Antique & Vintage, To Costume Jewelry. Antique & Vintage Watches, Pocket and Wrist, Watch Chains & Fobs, Watch Parts. Rail Road & Transportation Clocks: All Old & Antique Clocks Wanted, Clock Parts and Repair Tools. Automobile & Related Items: We Buys Cars & Trucks, Car Part Collections, Advertising Auto & Part Signs, Motorcycles, Vintage Bikes. Hunting & Fishing: Rods & Reels, Fishing Lures, Creels, Fish Decoys, Old Ammo, Shotgun Shell Boxes, Anything Related. Musical Interments: String, Wind & Precision, Gibson, Martin, Washburn, Ludwig. Any And All. Anything Odd & One Of A Kind: Complete Collections Of Anything Old And Of Value, We Buy It All.